Cornerstone Tiny Home trailers are custom built specific to you THOW design. (It can be dangerous to build your tiny home on wheels any other way.) All of our shells are built on the highest quality trailers manufactured by AMP Trailers, who are the industry-standard in custom THOW trailers. They build to our exact specs for the design of your your tiny house shell. We help to ensure that your design matches with your custom trailer, so that the shell we provide you is safe. 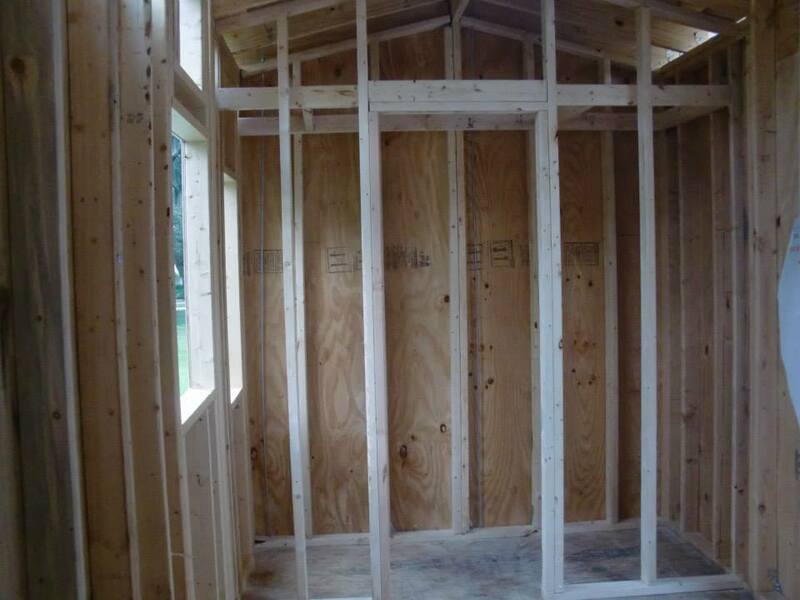 All of our shells include walls built to the highest standards, and all roof framing including fascia, wall, and roof sheathing are up to RVIA standards. Cornerstone Tiny Homes also builds completely custom units, in addition to these tiny home shell units. You can also ask for any other size and configuration that you might need. We offer volume pricing for developers and manufacturers, as well. Approx. price range for shell only. Approx. price range complete unit. Our approximate price ranges for shells at this time – depending on size and modifications – range from around $20,000 for an 18′ shell to $49,000 for a 32′ shell. These are approximate ranges only and many factors can raise or lower these figures considerably. Our approximate price ranges for complete units vary even more depending on size and modifications, but to answer your question: a finished 16′ can range from $35,000 to $63,000 for a 32′ unit. We specialize in fully custom units which the buyer participates helping to design so that they get what they want. And so during this design process and throughout the build, there are always many choices to be made which can raise or lower these figures. But we did want to answer you so that you can think about what might be needed to get going. Feel free to contact us to discuss this further.